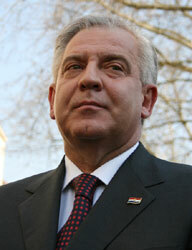 Custody prior to extradition was imposed on the former Croatian Prime Minister Sanader. He complains about the "arbitrariness of the Croatian authorities". Sanader Remains in Extradition Custody / Picture: © Wikipedia / Roberta F.